Couldn't decide which of these to post so I combined them into one. Of course I could've just posted both but oh well...one pic a day. lol. 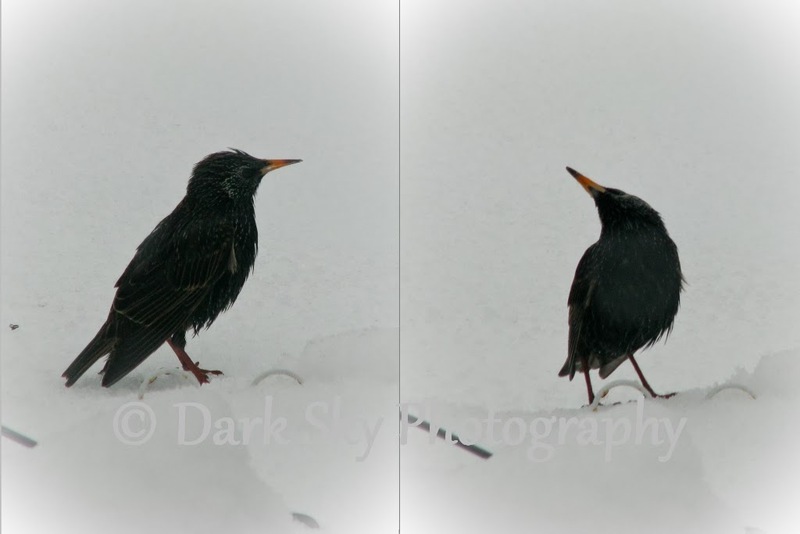 Against the snow, these guys just looked black and I couldn't figure out what they were until I took a photo and looked at it. I don't recall ever seeing them in the winter, at least in the snow. We've been seeing robins all winter too, in Wareham. If robins fly south for the winter as they're famous for, these ones must be from up north. They're supposed to be a sign of spring...well, spring is coming. So is Christmas. Haha. But I don't know what starlings typically do. Their darker appearance against the snow actually makes them prettier than they normally are.